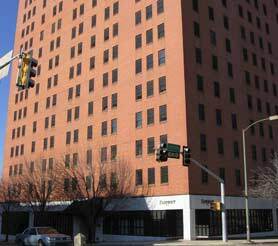 Fairmont Towers is a 254 unit apartment building conveniently located in downtown Shreveport, Louisiana. Renovated in 2001, Fairmont Towers Apartments offers an affordable living experience complimented by a selection of apartment layouts that includes studios, 1 and 2 bedroom apartments. Amenities include all utilities paid by management, on-site laundry facilities, exercise room, sunroom, 24 hour controlled access, on-site courtesy officers, friendly staff and all the convenience of downtown living.